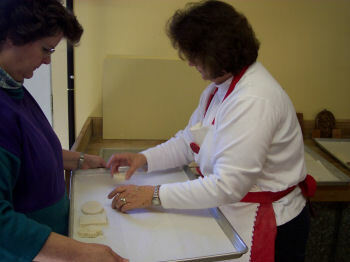 Learn to make these traditional German cookies from start to finish and take a dozen home. 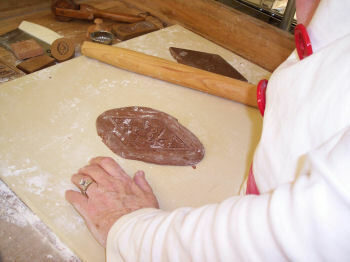 The Springerle Baker shares what has been learned about the history and lore of this almost forgotten edible art form. 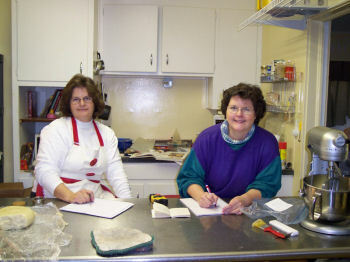 You will also find out about recipes, alternate flavorings, baking tips, edible painting techniques, plus craft ideas for using your molds year round. 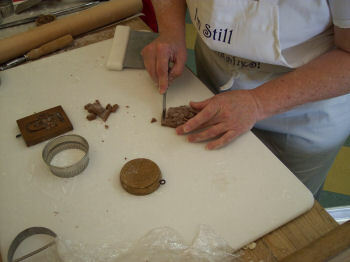 There will be beautiful hand carved original molds on display. Some will be displayed with their histories as told by their owners. Learn the secrets and versatility of this elegant heirloom confection. This class will usually run about an hour and a half. Class fee is $60.00 per person. 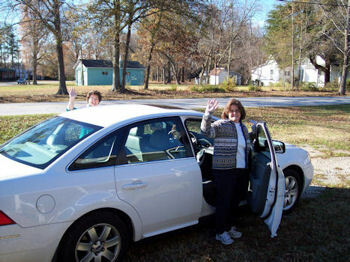 Jean and Janet came from North Carolina to take a couple classes. They stayed at a local Hampton Inn in Clinton which allowed them to make their own dough, press, dry and bake their Springerle over the course of two days. 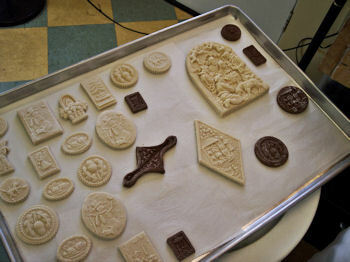 They were also able to learn about paper casting with Springerle molds and produce some of their own castings. They brought their own molds but were also able to use those I had. They enjoyed their classes and have told me that they get together during the holidays to make Springerle for family and friends. At the class I had several antique Springerle molds that they were able to examine and see the beauty of an original mold. Reservations are required for all programs. 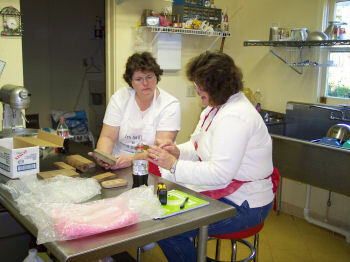 At the classes replica Springerle molds will be for sale for your convenience. Class size is limited to 6 but may be as few as just yourself. There are not any set dates for classes this year so please contact me if you wish to schedule a class. I would suggest attending with a friend or two so that they may pick up something that you may have missed.  An aluminum cookie sheet to carry your cookies home. All ingredients and molds for making cookies will be provided. Crafting supplies will be available for purchase or you may bring your own materials.